I so love when guests come to the house that they are greeted with a welcome to our home. I think it really helps with the initial warmth of your home, that you are indeed welcoming to guests. 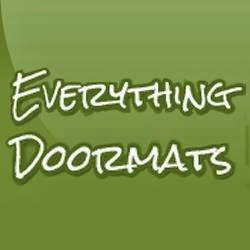 Everything Door Mats makes both inside and outdoor mats. This mat honestly could have fit in just about anywhere in my home. It looks gorgeous in front of the fireplace! If I wanted to use it solely as decorative this would be the perfect spot. In addition to the gorgeous floor mat, I also received a MatMates Cushion Comfort Indoor Tray for placing the floor mat in. Wow, did this make the floor mat comfortable for standing on! This mat is made from thick PVC foam and allows a tray surface for placing your mat in. Anti-fatique and stress relief is a huge benefit of this tray. I have not had a working dishwasher in 2 years, so I do spend a lot of time on my feet in front of the sink. I placed my mat in front of the sink for doing dishes and found an immediate help to my poor feet and back! I was able to stand there much longer taking care of dishes because my feet were resting on such a comfortable mat. It is also slip resistant which is important as I am working around water. Welcome mats make excellent gifts this holiday season. I actually remember recieving a welcome mat and a floor mat for Christmas one year. They really add to the decor of your home, to the charm of your welcoming both guests and strangers. Add in the Mat Mate Tray and you have not only a beautiful decoration, but a comfortable tool as well! Be sure to check out Everything Door Mats for their huge selection this holiday season. The tray is a neat idea. It adds an elegant border and holds the mat in place. I really like that these are anti fatigue and stay in place. These doormats are lovely and seem well made. I do like to have one at my front door at all times and it is nice to see a variety. That is beautiful! I LOVE IT!! I love that door mat. I will have to check that out. 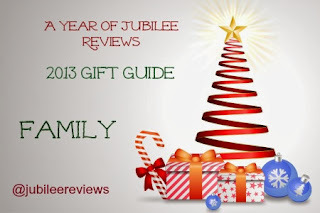 We need a new one!